Overlay drawing PROFILEK to ZWCAD. Overlay written specifically to take advantage of its plumbing designers in their daily work. 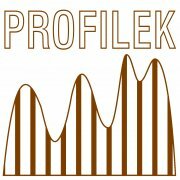 All elements inserted by Profilka are on the structured layers do not cluttering the figure on which we are working. CP-Manufacturers (Heiztechnik) - contains library of objects from the Heiztechnik company. CP-Manufacturers (Chemowent) - contains library of objects from the Chemowent company. CP-Manufacturers (KaMo) - contains library of objects from the KaMo company. CP-Manufacturers (Delta) - contains library of objects from the Delta Systemtechnik company. CP-Manufacturers (Wilo) - contains library of objects from the Wilo company. CP-Symbols HVAC - Ventilation possesses a database of basic symbols used in ventilation and air condition installations by PN and DIN standards. CP-Symbols HVAC - Radiators, objects contains sanitary equipment, radiators and other objects used in plans and strand diagrams. CP-Symbols HVAC - Industrial systems possesses the most important symbols used in industrial installations schemes and P&ID schemes. CP-Symbols HVAC - General symbols possesses the most important symbols used in heating, water, sewage, fire safety and other technological installations. CP-Manufacturers (Pulsar) - contains library of objects from the Pulsar company. CP-Manufacturers (Magnaplast) - contains library of objects from the Magnaplast company. CADprofi HVAC & Piping - Parametric CAD-application for design technical building equipment. All installation kinds will be supported, i.e. heating, ventilation. CP-Manufacturers (Clage) - contains library of objects from the Clage company. CP-Manufacturers (ACV) - contains library of objects from the ACV company. CP-Manufacturers (Wavin) - contains library of objects from the Wavin company. CP-Manufacturers (Salmson) - contains library of objects from the Salmson company. CP-Manufacturers (KSB) - contains library of objects from the KSB company. CP-Manufacturers (Vaillant) - contains library of objects from the Vaillant company. CP-Manufacturers (Viessman) - contains library of objects from the Viessman company. CP-Manufacturers (Reflex) - contains library of objects from the Reflex company. CP-Manufacturers (Efar) - contains library of objects from the Efar company. An application tailor made for CAD professionals working in the fields of air conditioning, sanitary plumbing, and medical / industrial fluids. AUTOGAINE is a CAD application designed for air-conditionning and ventilation. AUTOGAINE 10 computes and draws in single line and double line modes with precision. The application handles circular and rectangular ducts, vents and accessories implemented in ventilation and air-conditioning installations. AUTOTUBE is a CAD application designed for pipe networks. AUTOTUBE 10 computes and draws pipe networks and tap fittings in single line and double line modes. The application handles parts at real scale according to the accuracy class, to the PN and to the type of material. AUTOSAN is a CAD application designed for plumbing. AUTOSAN 10 computes water supply networks and draws complete supply and drain pipework in single line and double line modes. DZETACAD 10 is a CAD software for pressure drops computation DZETACAD 10 can compute pressure drops directly from ZWCAD with minimal effort. It handles air and fluid networks designed with the AUTOGAINE or the AUTOTUBE programs. AUTOCOUPE is a CAD application specialised in generating cross sections. AUTOCOUPE 10 creates cross sections generated from 2D plans done with AUTOGAINE, AUTOTUBE or AUTOSAN, for the purpose of synthesis and spatial analysis. From 2D to 3D, effortlessly Transform your 2D AUTOFLUID networks into 3D models, simply and quickly to integrate them into BIM projects. AUTOBIM3D bridges the gap between the existing 2D engineering skills and the latest collaborative BIM 3D tools. We have developed graphical calculation technology that eliminates mathematical calculations and equation solving from the design process. Based on the technology we have developed Graficalc, SectionCalc, and ToleranceCalc products. GrafiCalc we sell via the web. ToleranceCalc is AutoDesk Inventor 2012 certfied tolerance anlysis plug-in. SectionCalc is automatic CAD section property calculator. It can read DXF file as input from all poular CAD applications. It can then calculate 14 vital section properties with 1 click. We are interested in offering SectionCalc as an add-on product to ZWCAD 2D for use by mechanical, civil, HVAC, and structural engineers.